The long weekend is upon us and I am so excited! After many months of cold and dreary weather, the unofficial start of Summer is finally here and we are expecting 80 degrees this weekend. Woohoo! Have you seen LD's Emoji Bees? I thought they were hilarious! 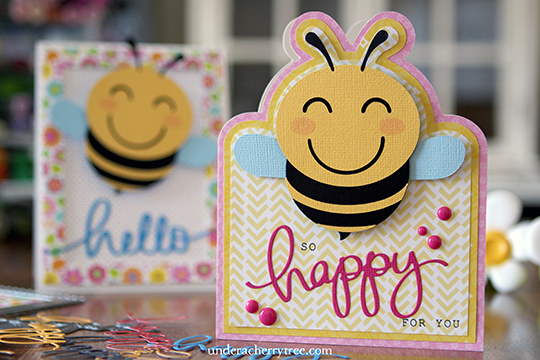 Today's cards were made using the Happy Bee but I can certainly use the others for many different occasions. 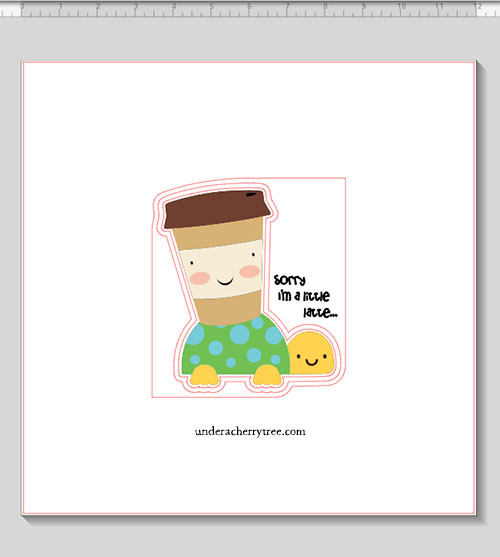 How about using the Sad Bee for a Get Well or a I'm Sorry card? Or the Shocked Bee for a belated birthday card? What fun! 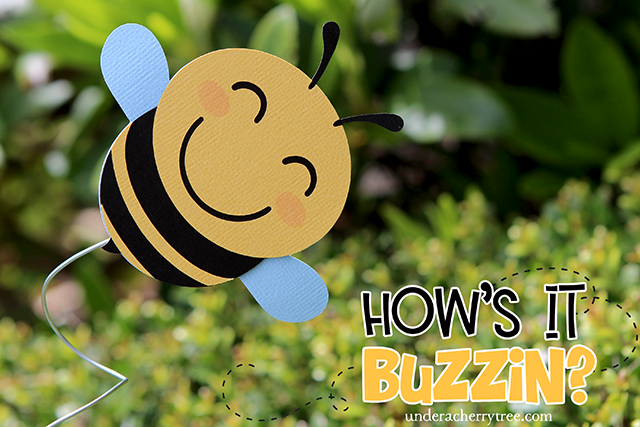 Speaking of fun, I used an Action Wobble on one of the cards to make the bee, well, wobble. 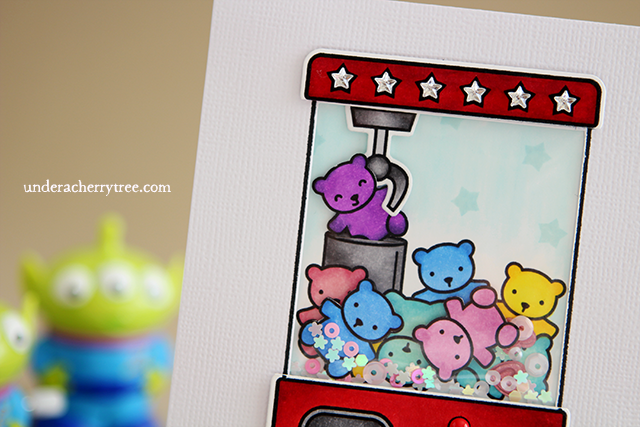 It's been so long since I last used one of these springs, I forgot that it makes a card so much cuter! I used Silhouette Studio to design the shaped card and I used my Silhouette Cameo to cut out the card base and the different layers. 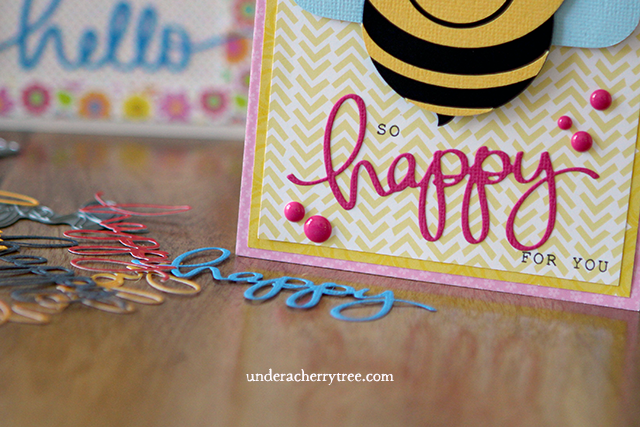 I used a metal die to cut out the "happy" and the "hello" greetings. 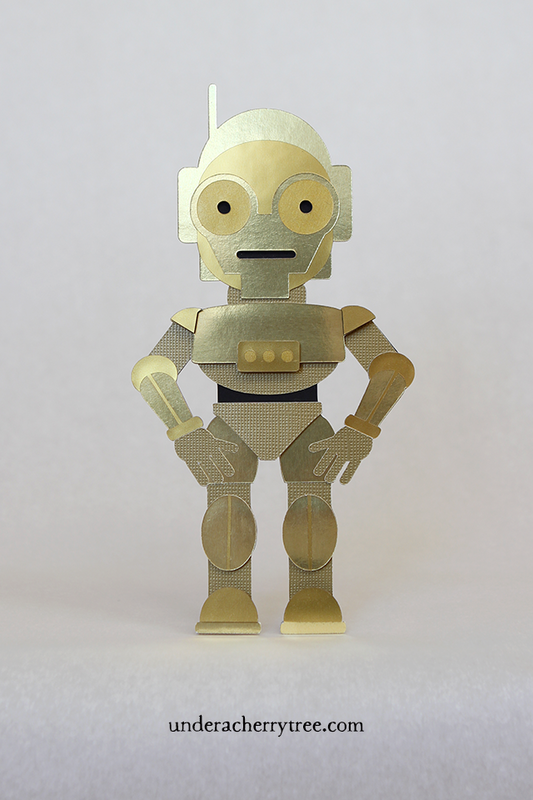 The frame on the "hello" card was also cut out using a metal die. Hope you like the cards. Now excuse me while I run out of the house, I have some sunshine to catch. "happy" and "hello" metal dies by Mama Elephant. Remember when I said in my previous post that I have been decluttering and that I had found a lot of unused stamps? I probably should stop buying new crafty toys until I finish reorganizing my craft room but I can't seem to do it. 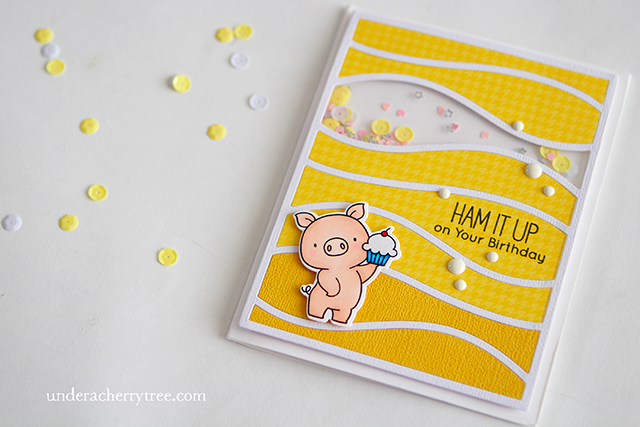 How can I stop when stamp companies like Lawn Fawn keeps coming up with the cutest stamps? Just look at their newest release. 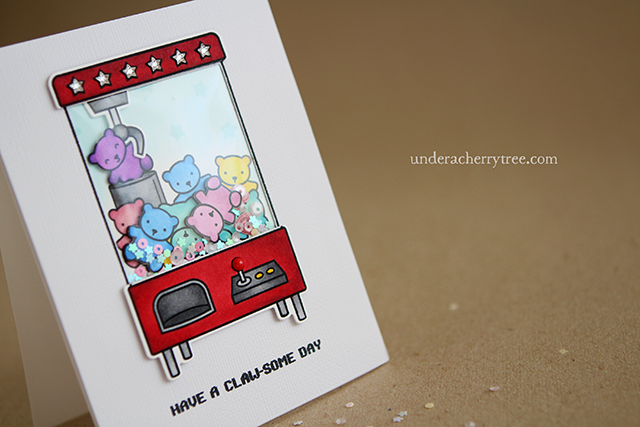 A stamp set featuring a claw machine? Are you kidding me? It is so cute! How not to buy? 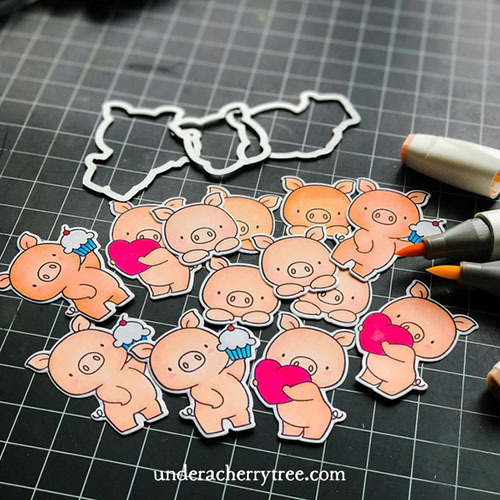 After posting my piggy shaker card on Instagram, a couple of you suggested that I get the Fuse Tool to help simplify the shaker-card-making process. And so I did. I got my new toy last Saturday and I couldn't wait to try it out! 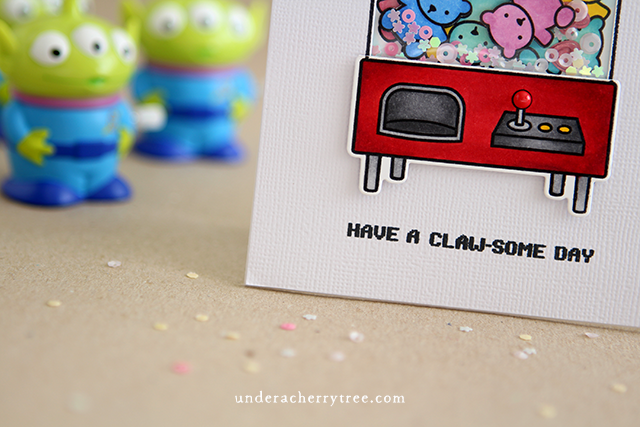 The new "Claw-Some" Lawn Fawn stamp set was perfect for a shaker card. 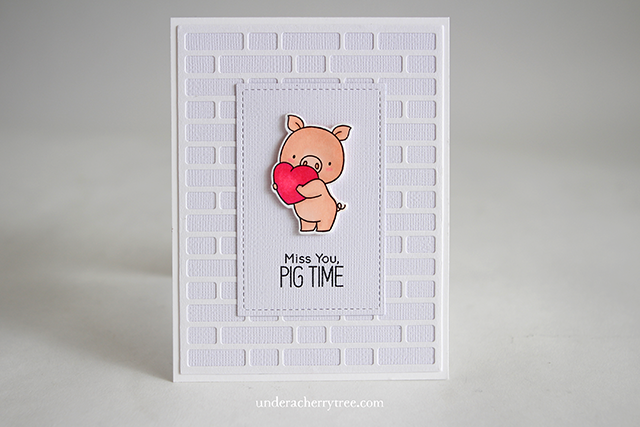 Isn't this card the cutest? I *heart* it! The shaker portion was made using the Fuse tool and I must say, the Fuse is so easy to use! 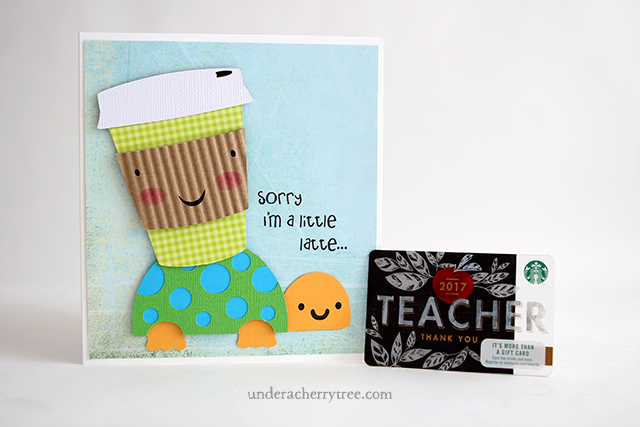 Even though I don't make shaker cards very often, I kinda wished I had bought the Fuse tool sooner. 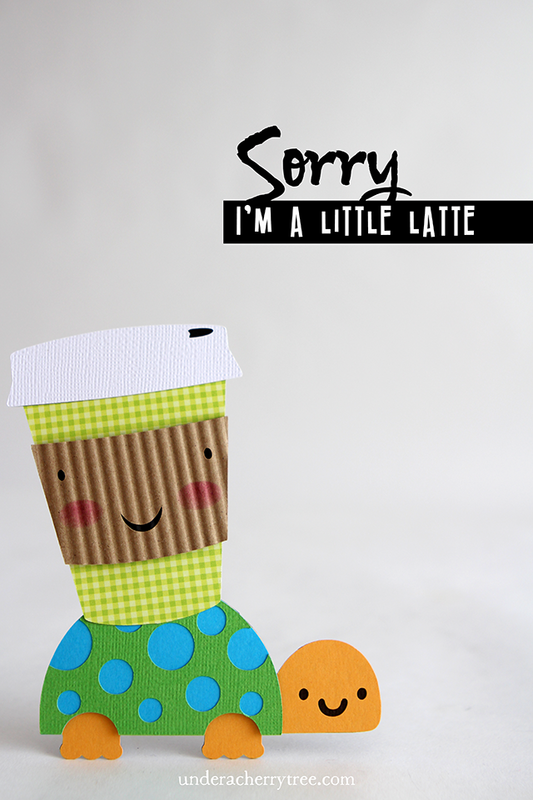 Who knows, perhaps I would have made even more shaker cards if I had it before. I've been on a huge de-cluttering kick lately and while reorganizing my crafty goodies, I was embarrassed to find so many stamps and metal dies that I never used. In an attempt to change that bad habit, I'm going to start using all the stamps that I buy. I think it'll also help me remember what I already own so that I don't accidentally buy them again in the future (True story, I've bought duplicates before. Yikes!). 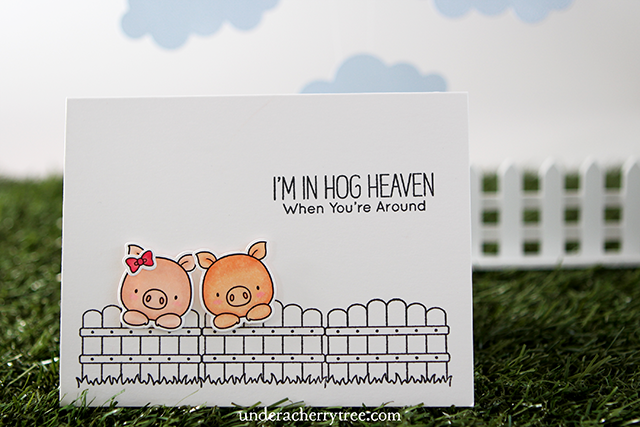 The Hog Heaven stamp set is one of many that I have bought from My Favorite Things. It is so cute! 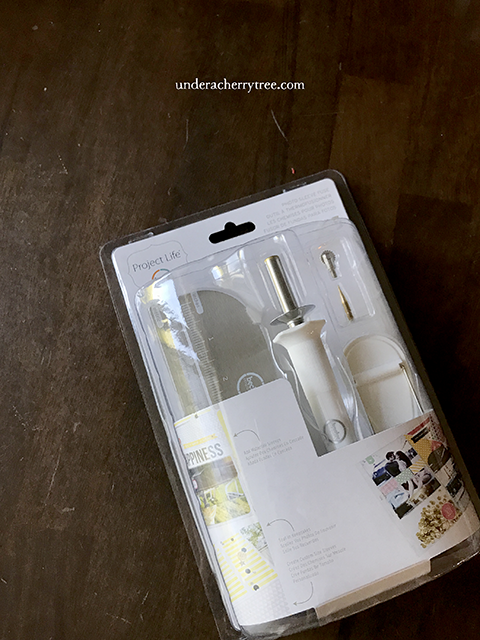 Even though I own (and love) my Brother Scan-and-Cut machine that I use primarily to scan and cut out stamped images (see my post about the cutter HERE), I couldn't resist buying the metal dies that coordinate with the Hog Heaven stamps too. 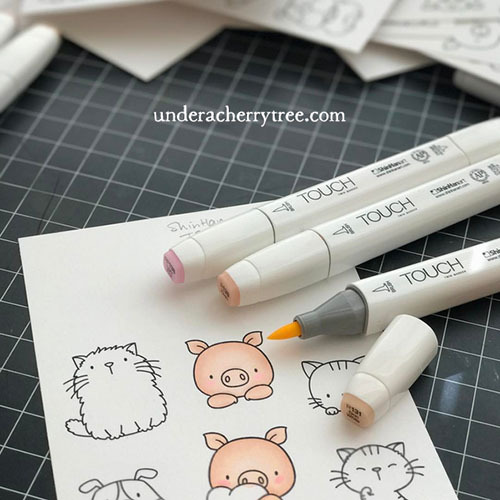 I have a good size collection of Copic markers but I realize that I don't have the colors that I wanted to use for these piggies. I ended up using the ShinHan TOUCH markers that I bought while I was visiting Taipei last Summer. The colors were exactly what I needed. Yay! I might have gotten a little carried away but I ended up with quite a lot of colored piggies. 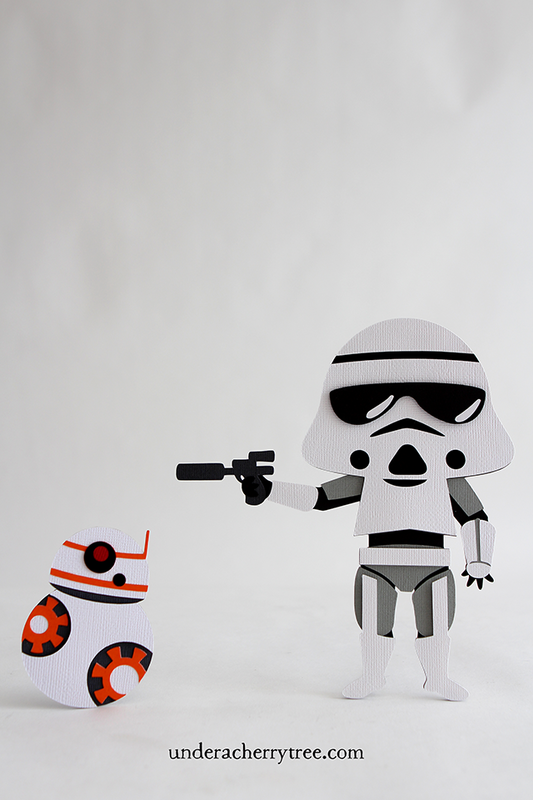 Here are a couple of cards that I made with them. All the stamps and metal dies are by My Favorite Things. So, due to some unforeseen forces of the universe, (IOW, I spaced out), we didn't get to hand a gift to the 5th Grade teacher last week during Teachers' Appreciation. I had already bought a gift card for him and my 5th Grader was supposed to make him a card. Since we were late, I decided to give the kiddo a little help in the re-design of her card. The turtle SVG originally came with a party hat and a present on its back. Since I was gifting a Starbucks giftcard, I replaced the present with a coffee cup and I also removed the party hat. The greeting was my 8th grader's idea. I had written "Sorry I'm a little late..." but she suggested that I replace "late" with "latte". I love it! What a fun word play! I cut out all the layers twice and further simplified the card by not including the shadow layers. 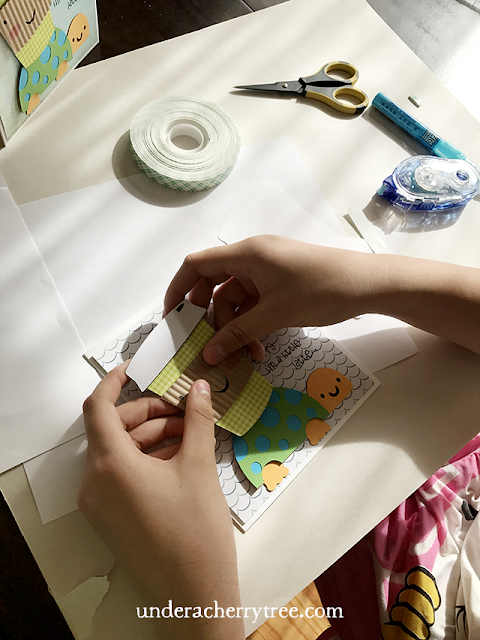 I wanted my kid to make the card herself and so I assembled one card and had her use it as a sample to make her own. She did a GREAT job in putting together her card! She was excited to go to school this morning to give it to Mr. H.